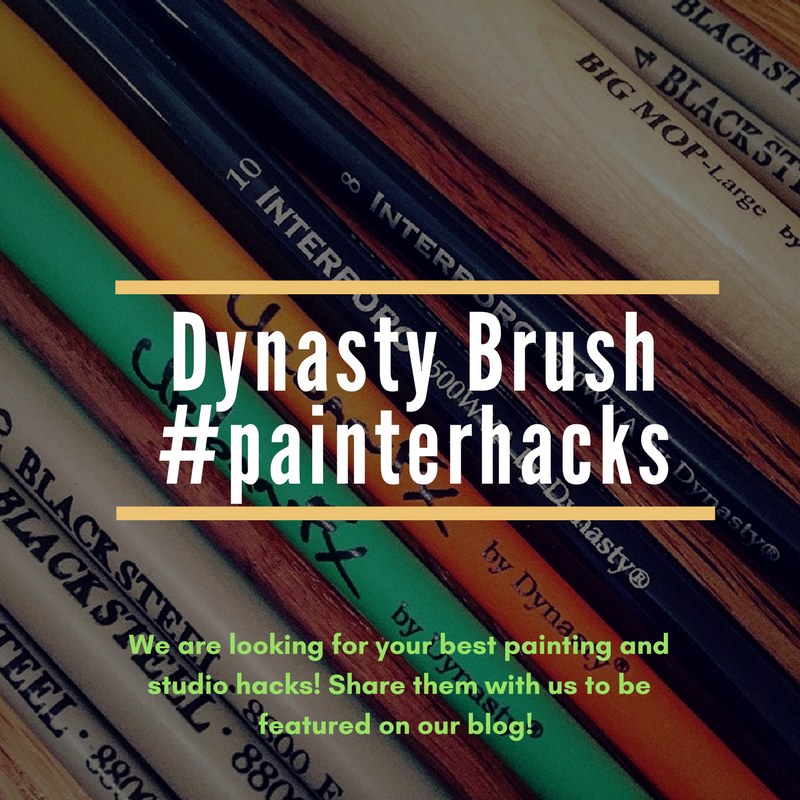 Presenting our first ever post on #painterhacks: tips and tricks to make painting and life in the studio a little easier! Our first #painterhack comes from narrative painter Christine Mercer-Vernon--who uses Glad Press'n Seal in her studio. 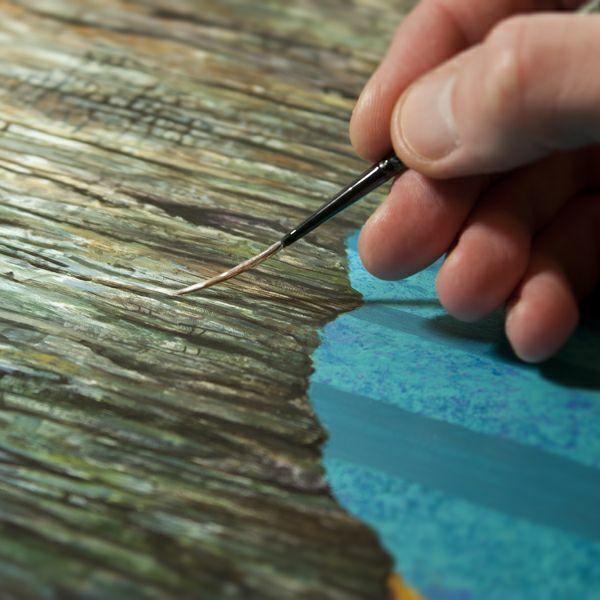 "I use it to seal my palette pressing all air out around my paint. It usually extends my paint another day or two, sometimes more depending on the color. I can mix paint at night, seal my palette then start right in the next morning.🙌" Christine was also featured here on the blog a few years ago. You can revisit Karyn's article with her here. Our next #painterhack comes from Grand Rapids, MI based artist Dillon Pringle. Image from artist Dillon Pringle. "To get really thin, clean lines - I use a script liner by Dynasty. First, make sure your paint is the right consistency. Too thick, and it won't glide underneath your brush, too thin - and it might puddle and soften as it dries." Dillon goes on to say that consistency is really the key to getting the thin lines you want. "I'd say the viscosity of a milkshake is perfect. Then, make sure to fill your script liner with as much paint as it will hold, while maintaining its shape. Next, carefully wipe off any excess paint on the edge of your palette or paper towel." As with a lot of techniques, Dillon says that it takes some practice. "Practice makes perfect of course, but I've found this method to be the best for getting crisp, ultra thin strokes." Interested in trying Dillon's technique yourself? You can find a variety of script liners on the Dynasty website. More #painterhacks to come in a future blog post! If you have a clever way to make an artist's life just a little easier, please reach out to us here in the comment or via direct message on Facebook, Twitter or Instagram. We very much want to make this a regular feature. And if you try one of these hacks in your studio, let us know how they work for you! 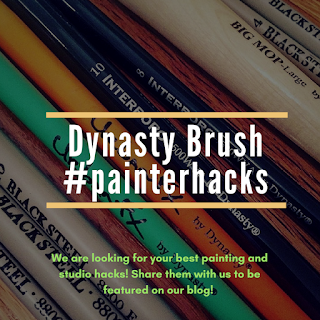 Looking for your best #painterhacks! Have you perfected the fastest method for applying gesso to stretched canvas? Maybe you discovered the best way to prevent your tubes of paint from getting gunky around the cap? 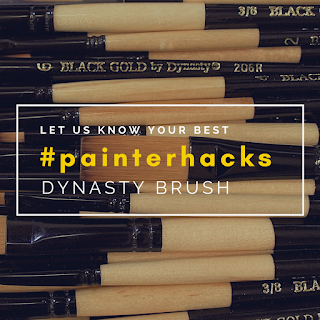 Do you have the ideal way to organize and display your Dynasty brushes? We want to know your best tips and tricks for making life as a painter easier! 1. Share a photo or video describing your hack on Facebook, Instagram, or Twitter. 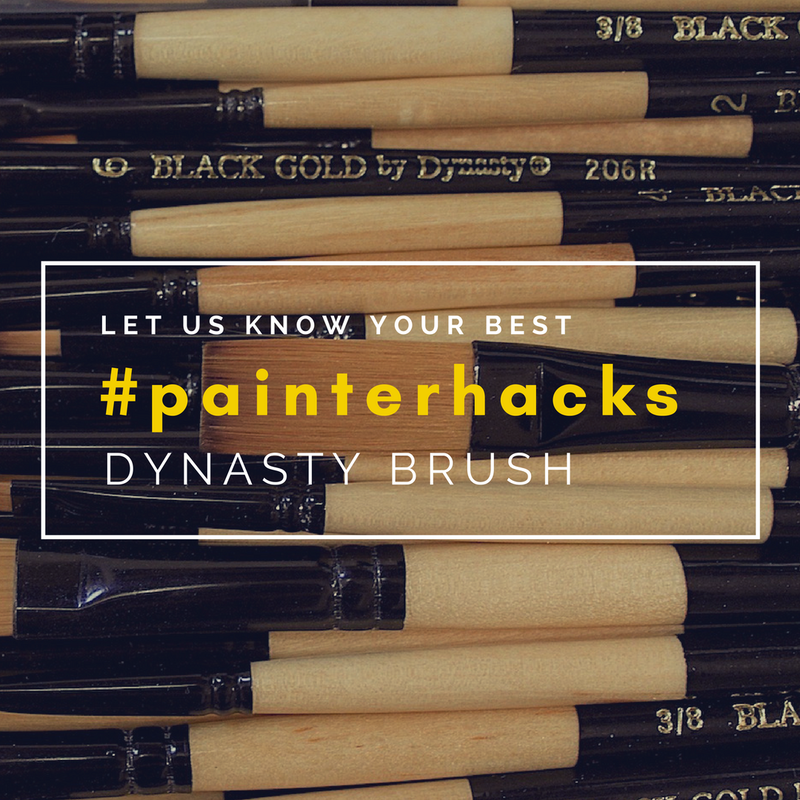 Be sure to tag Dynasty Brush and use both the #dynastybrush and #painterhacks hashtags. 2. Mention your bright idea in the comments below and our Social Media Coordinator with be in touch to learn more! We hope to gather a collection of the most clever ideas for a future blog post, so stay tuned and get hacking!